You know that there is a lot of work that goes into planning an all-day event so the Core Committee of KOW has been hard at work laying the foundation of the next Ancestor Celebration. It is not too early to mark your calendar for this event. 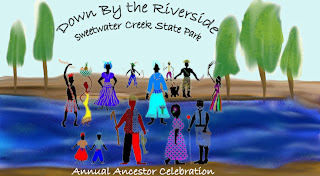 The celebration is scheduled for May 20, 2012. 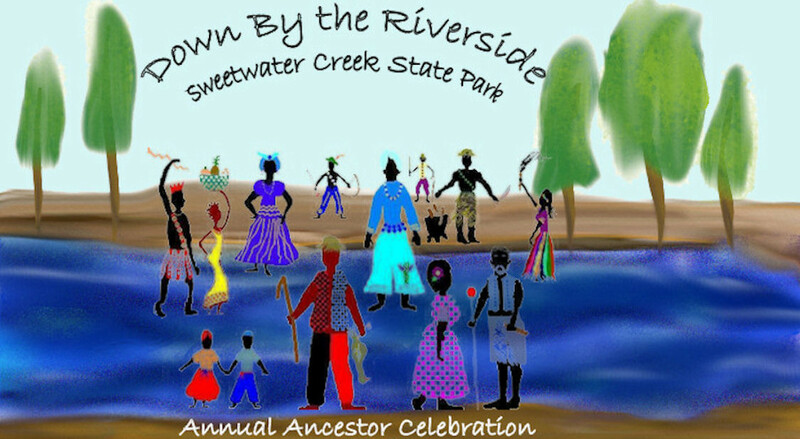 The venue will be a return to beautiful Sweetwater Creek Park in Atlanta, Georgia. A great event also requires community action and support so we have developed some ways that you can participate. Naturally, if you have the time and inclination to be a part of the Core Committee, then get in contact with one of us and we will be happy to share the blessing of working for the ancestors. But if your time is limited or you are not really into planning, then we have other ways for you to make contributions. We will have a list of volunteer activities. These will be short-term time limited tasks. You can donate items or money. The items are those things that will help us do the work. These items such as paper and office supplies, printing and inks, etc. The money is just another way and you can do this by pushing the donate button on the right hand column of the blog. You can become a Sponsor. Each sponsor level has an incentive associated with it. Finally you can donate an item or buy an item from our On-Line Auction. OR, if you are very generous and love this cause you can do all of the options. There is a lot that you can do right now and more items will be added later so make your way here often. So, mark your calendar and get on-board.